A major factor that should always be on top of the list is the location. The location of the condo greatly affects the potential of price appreciation and investment. For instance, Makati and Mandaluyong, being the business centers of the Philippines, has always proven to be a good investment area. Prices of real estate are skyrocketing in The Fort, Taguig. An owner who has a condo in Bonifacio Heights, near McKinley Street paid around P2.5 M when he bought the unit last year. Now, the going rate for the same unit is P3.5 million, a 40% increase just after a year. The location also determines accessibility to needed comforts and conveniences. If you value convenience, get a condo unit that has easy access to restaurants, schools, banks, or hospitals. “Access” means ability to go to those places under 10 minutes from the unit. 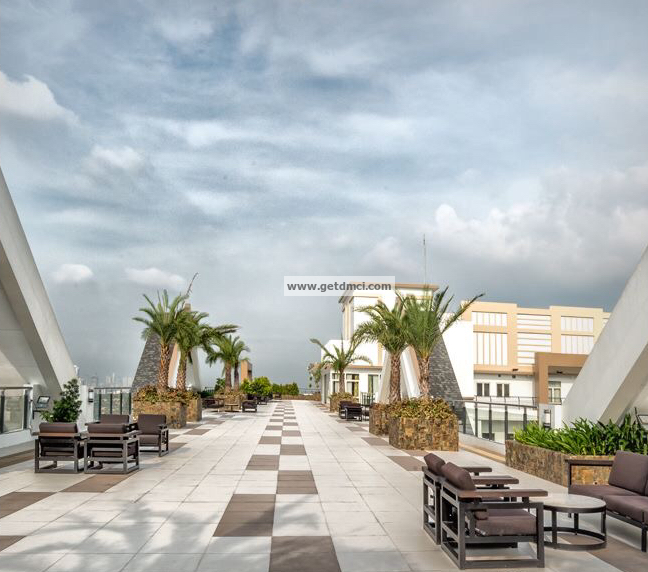 One of DMCI Homes value propositions is the MODERN IN CITY LIVING. 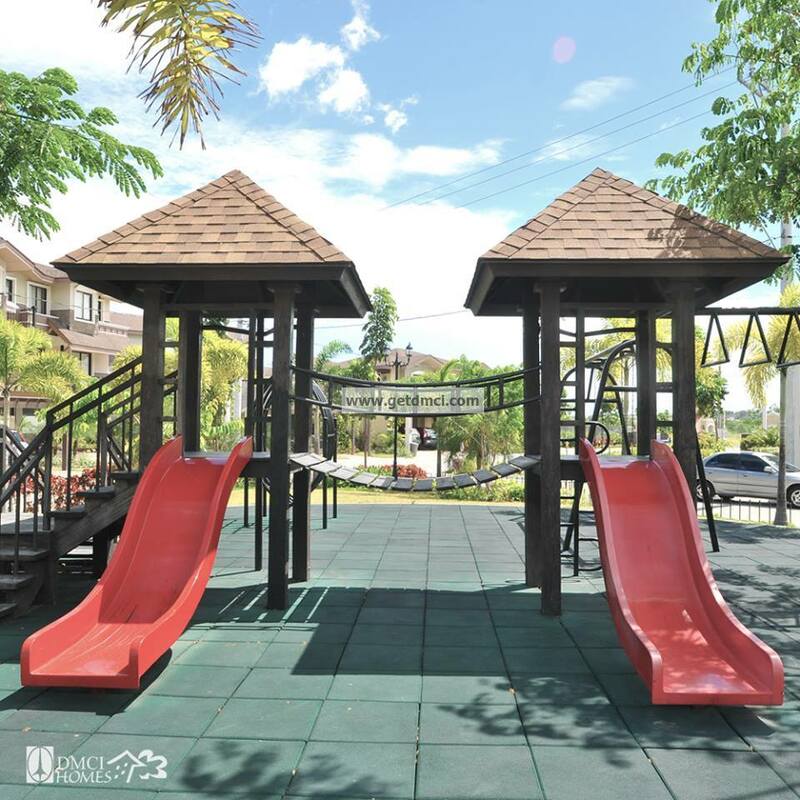 DMCI Homes invest in lands that are accessible and available to nearby commercial and business districts. 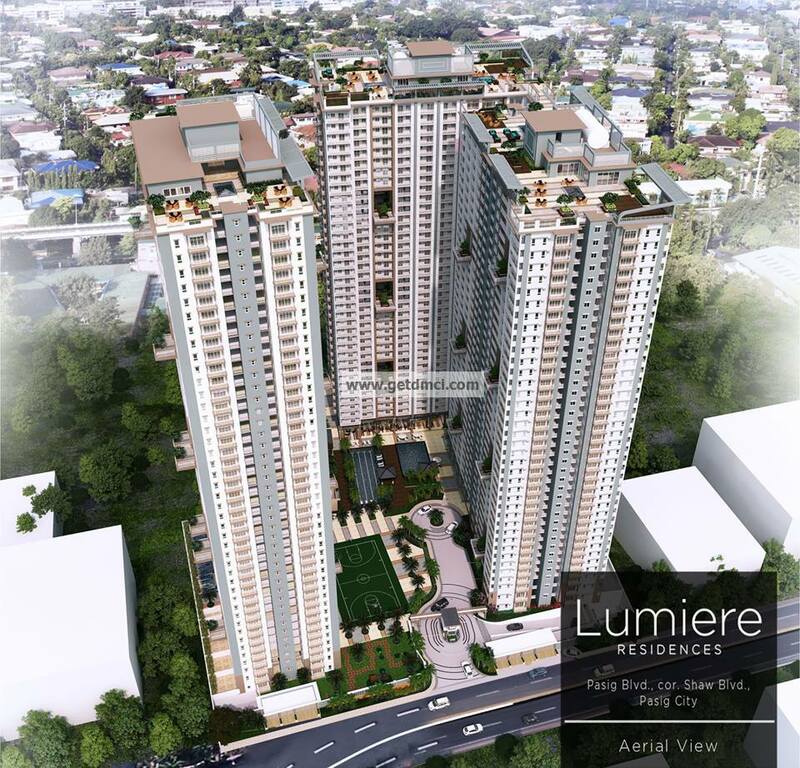 One example of this proposition is LUMIERE RESIDENCES in Pasig Boulevard. Around 15-20 minutes away from Ortigas CBD, Libis C5 and BGC. 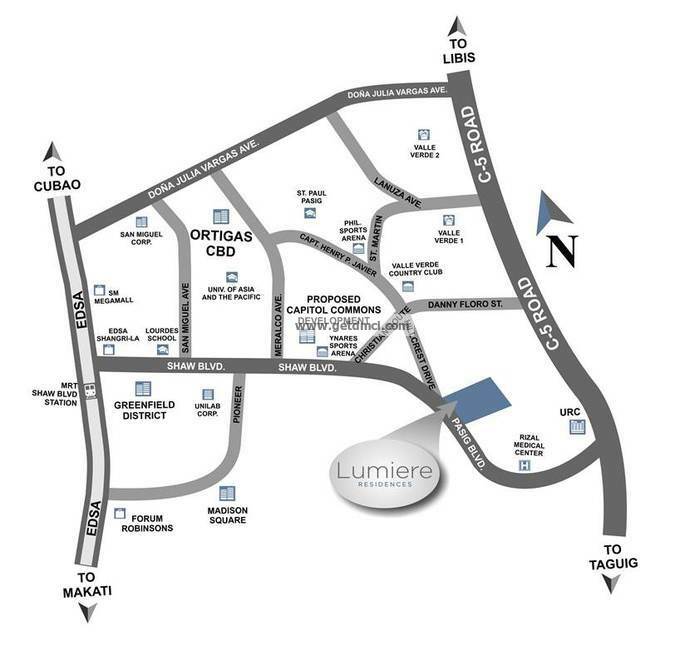 LUMIERE RESIDENCES is centrally located within minutes away from business districts, an ideal melting pot for the workforce within the areas. Aside from savings on gasoline, cost of commute, time and energy efficiency due to its building design, the property also poses great leasing potential due to its proximity to major shopping establishments and educational institutions. All these benefits are well within an affordable pricing package indicative of the developer. For condos that are still on pre-selling stage, the reputation of the developer matters a lot because it ultimately determines whether the condo building will actually be completed. There were previous cases of condo projects that halted construction because the developer ran out of money or realtor and construction had feud. In such a case, it would be difficult to get your money back. For condos that are already ready for occupancy (RFO), the reputation of the developer can tell you if they are committed to work with the condominium homeowners’ association to help manage the condo. Condo management means installation of effective security measures, strict implementation of condo rules, and proper maintenance of the building. Backed by several years of experience in the industry. DMCI Homes is proven to be a reliable condo and real estate developer. It has successfully completed over 500 projects to date. These landmark infrastructures symbolize the expertise, professionalism and commitment of DMCI Homes. It is the country’s premier triple A builder-developer that brings serviced and themed communities within reach of urban families. A condo may be expensive because of the amenities it offers. 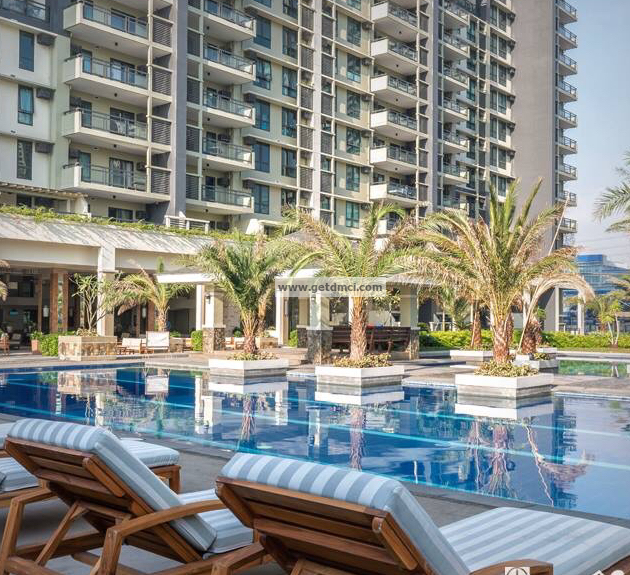 Normal amenities include swimming pool, gym, children’s playground, function room, and the likes. Assess whether the price you are paying equal the value of the amenities to you. This refers to the number of people per unit area of space available. In a condo, this translates to the number of residents sharing the swimming pool, gym, playground, function room, or elevators. Of course, the more residents a condo has, the less space is available to you. The more people living in a condo, the more inconvenient it gets because you will have to share the amenities with more people. DMCI Homes built to contain only a limited number of housing units for residents, all communities are exclusive because of the MEDIUM DENSITY DEVELOPMENT. DMCI Homes have single loaded corridors that open up to a garden space or an atrium instead of a neighboring door. This feature allows the unobstructed entry of natural lighting, constant ventilation, and optimum privacy. 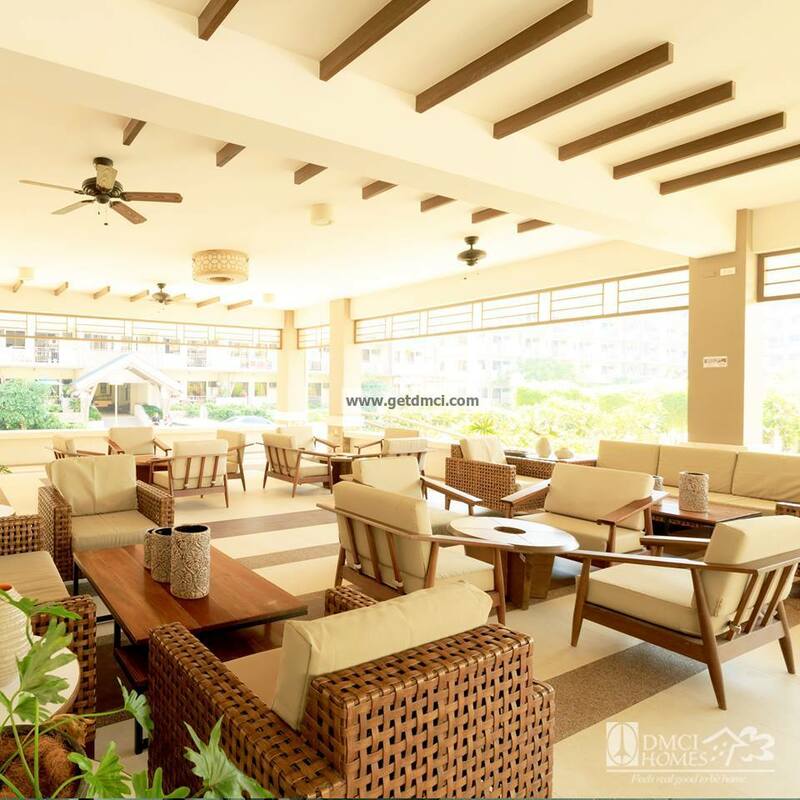 All DMCI Homes communities are also designed to maintain a 60:40 footprint-to-building space ratio that leaves ample room for gardens and more open areas. Living in a condo means paying an additional expense every month: the association dues. This represents your contribution to the shared costs incurred by all condo owners, such as electricity in common areas, water used to water plants and for the swimming pool, and wages of security guards, janitors, and maintenance workers. This is usually a fixed amount multiplied by the total floor area of your unit. Make sure you pay these association dues on time because like credit cards, the penalty interest rate for late payment ranges from 1-4% per month. Another values proposition of DMCI Homes is WORRY FREE LIVING. DMCI Homes residential communities are gated, guarded 24/7 for residents’ security and peace of mind. DMCI Homes’ Property Management Office provides the round the clock upkeep and maintenance of common areas. As a resident, you are bound by rules and regulations applicable to all who live in the condo building. Some condominiums, for example, totally disallow pets and animals of all kinds. There are condos that forbid tearing down a part of your unit or changing the color of your wall. Some condoallow residents to use the swimming pool or common area up to a certain time only. Parties inside residents’ units are allowed but normally have to end before 10 or 11 p.m. Know your condo rules prior to buying so you won’t be surprised by the regulations once you have moved in. If you’re looking to buy a condo, don’t be concerned with price alone. Several things ought to be considered so you won’t feel shortchanged or disappointed with your purchase. The list above is not exhaustive. Hope it gave you an idea on what to look for in a condo. Happy DMCI condo living! If you have any questions, want to meet up, or need more information, send us a message.